Brooklyn, NY (April 25, 2015) – Romain Cannone (New York, NY) finished his first season on the junior world circuit by capturing the silver team medal at the Fencing World Championships in Tashkent, Uzbekistan earlier this month. Cannone, who trains in Coney Island, Brooklyn, fences for the French national team, which finished second out of 35 countries competing in the men’s epee team event. Cannone previously earned a gold team medal at the European Championship in Maribor, Slovenia in March, and a bronze individual medal at the World Cup in Basel, Switzerland in February. At 17 years old, Cannone was one of the youngest athletes to fence in the Junior World Championships, which is the culminating event of the season for the world’s best fencers ages 20 and under. The team tournament lasts for two days with one day of rest in between. France began with a 45-35 win over Brazil to make top 16. Next, they faced Israel and won 45-38. In the table of 8, they continued to dominate by defeating Poland 45-34. According to Cannone, the most stressful match came on the second day of competition in the semi-finals against Hungary, whom they previously defeated to win the European Championship in March. The two rivals engaged in a very intense match, but France pulled out a slim victory over Hungary, winning by just one point in priority with a score of 28-27. In the final match versus Germany, Cannone thinks they were just too confident and didn’t fence their best. France lost to Germany 36-45 to take second place. This was France’s best finish in the junior men’s team epee World Championship since 2004 when they earned their last silver medal. France is now ranked number 2 in the world behind Spain. Cannone, who was not selected to fence in this year’s individual World Championship, is ranked 49th out of 629 athletes. 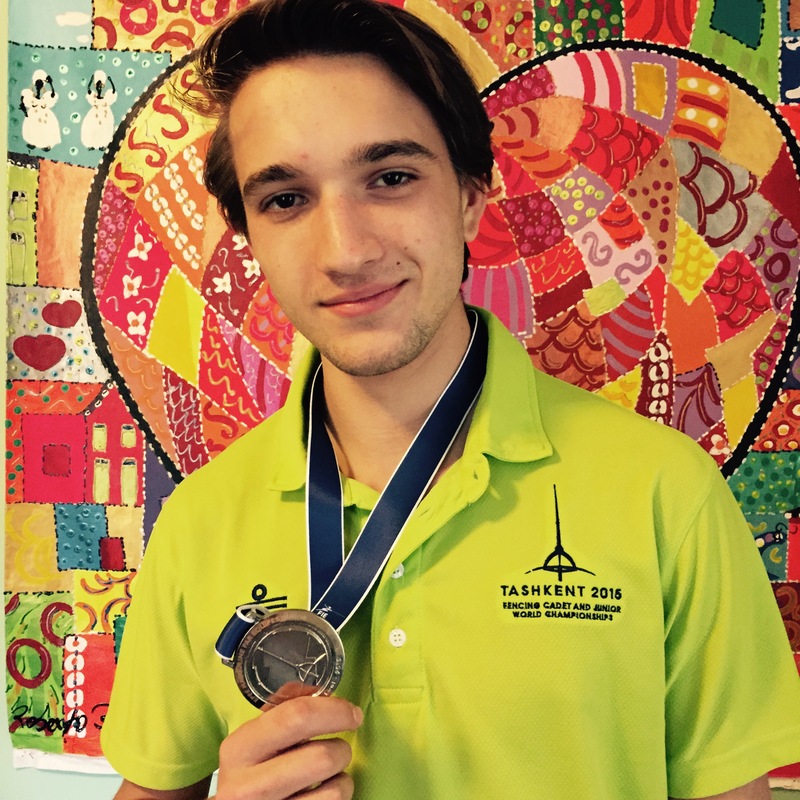 Next, Cannone will be fencing in Paris on May 1st at the Challenge SNCF Reseau Coupe du Monde. For the best adult men’s epee athletes in the world, this prestigious Senior World Cup is the first step towards qualification for the 2016 Rio Olympics. For Cannone, who just turned 18 on his way home from Tashkent and has three more years in the junior age category, this will be a great experience and preview of what fencing may have in store for him in the future. New York Fencing Academy (NYFA) was founded in 2010 by owner and head coach Misha Mokretsov and is located in the Coney Island neighborhood of Brooklyn, NY. NYFA is quickly becoming a center for excellence in epee, with one of the strongest competitive epee programs in the tri-state area. In just five years, NYFA has produced many nationally-ranked fencers earning Champion and Finalist titles at International and National competitions, including a European Champion on the French junior national team. NYFA provides private lessons, group classes, and camps for students of all ages and all levels, beginners to advanced. Visit www.fencenyfa.com for more info.